A balancing rock is a naturally occurring geological formation featuring a large rock or boulder, sometimes of substantial size, resting on other rocks that often look precariously balanced. In reality, these rocks only appear to be balancing but are in fact firmly connected to a base rock by a pedestal or stem. 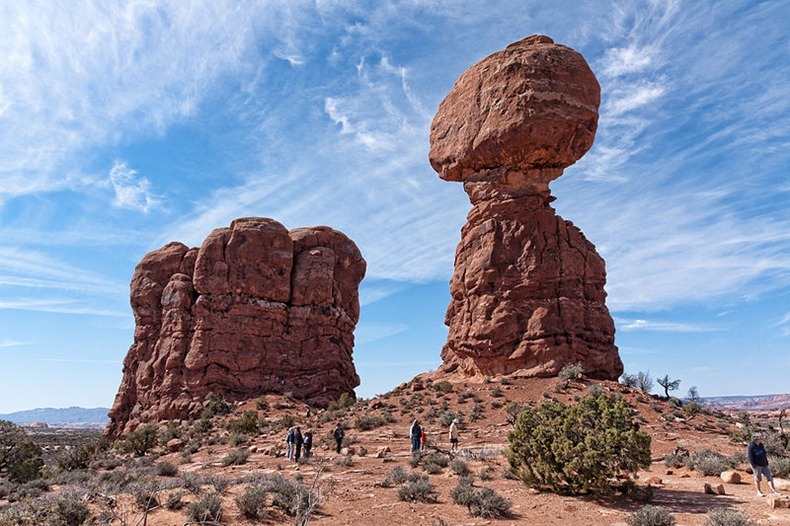 Here are some famous balancing rocks of the world.